"The wind of time blows in two directions. It's the rare person who feels its current parallel to his ongoing life. It's a special skill to catch time wafting, from the future, on your cheeks. In the emptiness between the train carriages, Masha felt- her fingers went icy from the certainty of that sensation- as though those ten minutes on the jolting train carriages, with her on one side and the boy on the other, would become a sort of tuning fork for her happiness." I can't imagine how hard it must be to be a professional translator, especially for literature. I took two years of Italian in college, and even the simple school exercise of translating song lyrics was rendered often frustrating because of the inability to directly translate in a way that makes actual sense. Even something as simple as "I miss you" (mi manchi) literally translates as "you are missing to me". It's essentially the same thing, but it takes the focus from I to you, making it feel softer somehow (at least in my overly romantic brain). Translating an entire book? Eep. 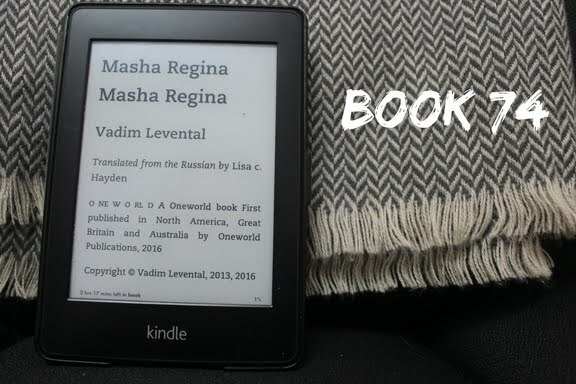 Translating Vadim Levental's Masha Regina must have been an especially delicate endeavor, so props to Lisa Hayden. Levental spent five years writing the book and it's obvious that he chose each word carefully. Hayden's translation is lush and evocative...obviously I can't read it in the original Russian, but it's hard to believe that it suffered any real loss being taken into English. Masha Regina is the story of the titular woman (her given name is actually Maria, but she's almost exclusively referred to by her nickname during the course of the novel), from about the time she's a teenager to well into her adulthood. It's hard to tell how old she's supposed to be by the end, exactly, because the novel progresses in a loosely linear way but with lots of digressions backwards and forwards and it can be hard to tell at any given moment where we are in Masha's life. It works when you're reading it, as long as you're paying attention, but it makes it hard to summarize the novel in a straightfoward way. I do love a good summary, though, so I'll take a crack at it. Masha is an artistically gifted teenager living in a small, decaying town in the Russian countryside. She doesn't necessarily know what she wants, but she knows she doesn't want to get stuck there like her parents, and when she's probably about 15 she manages to get her parents to send her to St. Petersburg to go to boarding school. On the train to the city, she meets Roma, another teenager who's heading back to his own studies in the city. He helps her get to her school and she falls a little bit in love with him, which she continues to be even as she has a long-term relationship with one of her teachers and he rejects her when she comes to see him. It's only later in their lives, after they've graduated and begun working towards careers in filmmaking (she as a director, he as a cinematographer) that they finally get together and become romantically as well as professionally involved. Their relationship is tempestuous, and Masha becomes pregnant with their child shortly before she leaves him for good, taking up with an older German actor while he romances a former school friend of hers. Although it's Masha's story and she's a fascinating character to spend a couple hundred pages with, it's never quite clear what drives her. At the beginning it's a desire to escape the drudgery she's surrounded with, which she does both through art and eventual literal escape. And then it's a desire to stay escaped, working her way to catch up with school so she can stay in St. Petersburg, building a name for herself as a director. But once she's got a solid career, her artistic expression seems almost more like a compulsion than a drive or a passion. The cool shell she built herself to keep her propelling through her early life eventually traps her...she doesn't know how to deal with adversity besides creating a film and throwing herself into the making of it. As I read, I found myself mostly focusing on the way fate seems to play a role in the construction of a life...Masha's life particularly, but all our lives, really. Masha's chance connection on the train with Roma as a teenager reverberates through her entire life. She gets into directing after accompanying a friend to an audition for an acting graduate program. I know how in my own life, my trip to Nevada was supposed to be a three-month thing until I met my husband doing voter registration. The big things matter, of course, but the little coincidences of our lives can be even more meaningful, in the end. Masha Regina is beautifully written (maybe a little overwritten) and mostly pretty compelling, but the sum of its parts is more than the whole, somehow. 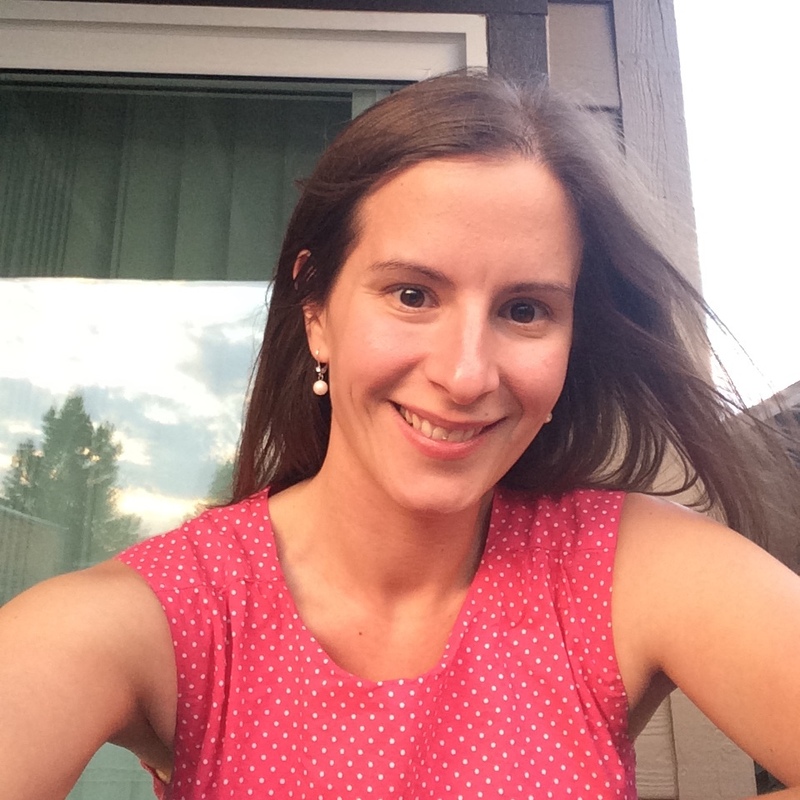 Tell me, blog friends...what little things ended up making a big difference in your life? Hey Gabby - odd request, but can you follow me on Twitter? I'm trying to DM you about something and can't! Or I could just send you an email if that's better...couldn't find a contact email on your blog. I sent you an email from my gmail...I know I follow you on Twitter!